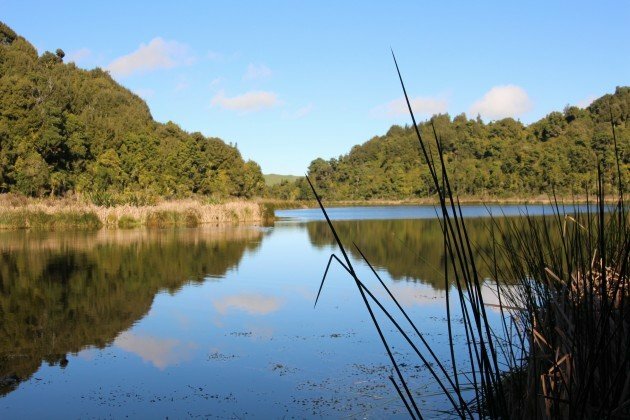 While I have previously praised the efforts of the Department of Conservation and other large conservation organisations, so today let me sing the praises of smaller groups, specifically the Rotokare Scenic Reserve Trust. This community based organisation has been working in rural Taranaki, near where I went up the mountain. Run along the same lines as the Karori Wildlife Sanctuary, the site has had a large fence placed around it and the introduced mammals removed. Rare species, like North Island Brown Kiwi, have been reintroduced. It’s a model that is now happening across New Zealand, and it was nice to experience it near my friend’s house in Taranaki. I was particularly excited to visit this site as it had listed on its website a few species that I had not seen in over a decade, and a few I also happened to need for my year list (which is only low in comparison to the fanatics that work on this site, who also happen not to live in such a species poor place as New Zealand). I was visiting with three friends, none of whom were birders as such, although they were at least used to my birding interests (one had accompanied me to several birding sites before). It didn’t tale long to find the first of my targets. 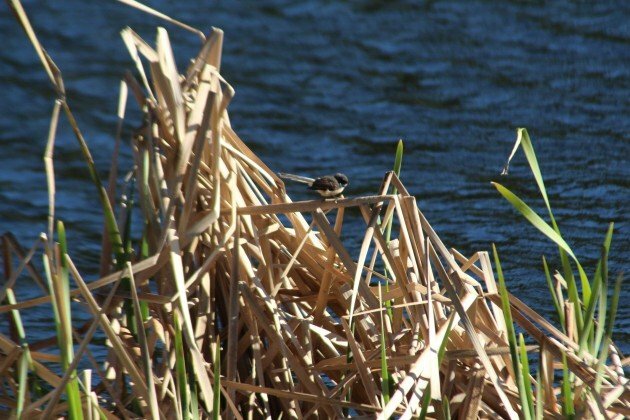 While there were some Pukeko, or Purple Swamphens, New Zealand Fantails, New Zealand Scaup and Welcome Swallows hanging around the start of the trail, it was the reeds around the lake that I was fixed on and sure enough after a while I managed to first hear and then spot a Fernbird. 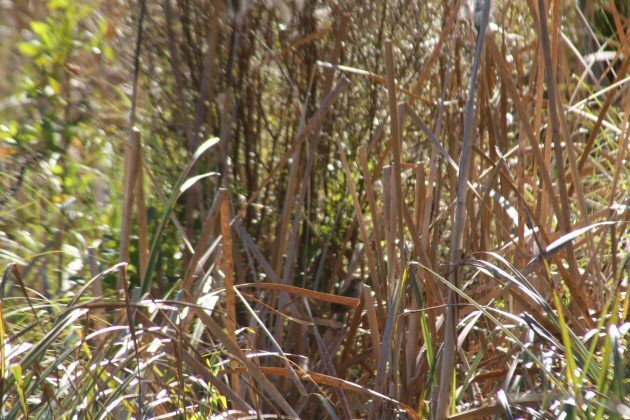 It was actually hard to miss, a loud noise coming from the reeds that then popped out and continued singing in a loud voice. I’m sure the upcoming start of spring made it much easier to spot than usual. 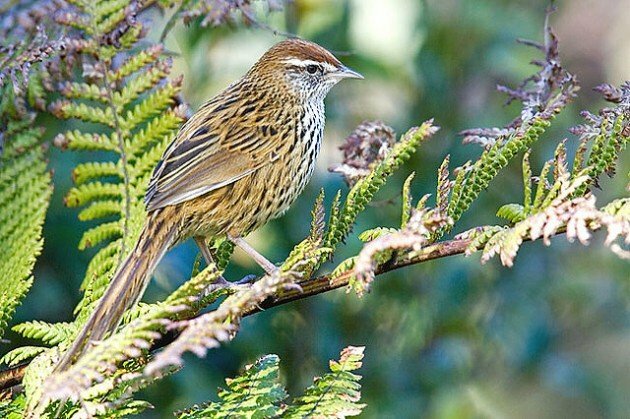 Fernbirds are what were formerly known as Old World warblers and are now considered a member of the grassbird family, and are typically as skulky as the rest of their reed living relatives. 57Andrew’s good shot of a Fernbird, to show what they look like (CC). The rest of the walk was not particularly birdy, although it was nice to walk through the forest. Mostly we talked about opera and life and stuff. And that’s fine. Not every excursion into the wild has to be about birds. I managed to show my friends a Fernbird, and they enjoyed my enthusiasm, and then we talked about other things. It wasn’t until the end that I got one final treat. 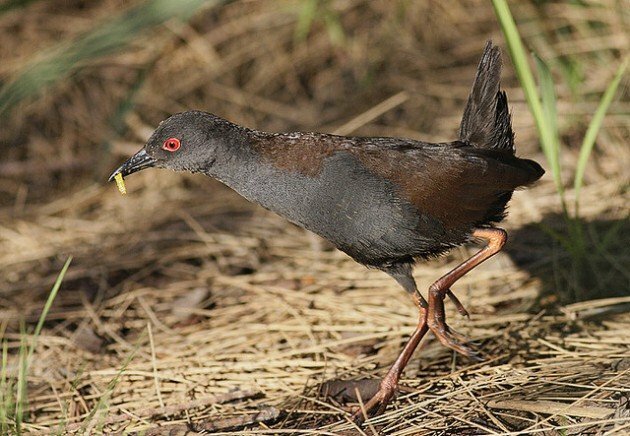 By the car park I wandered off for a moment to get a shot of a Pukeko (I failed to get a good one) and caught a fleeting glimpse of another bird I never see, a Spotless Crake. A powerful demonstration of the richness of the site, and how you can do good birding even when you’re not!